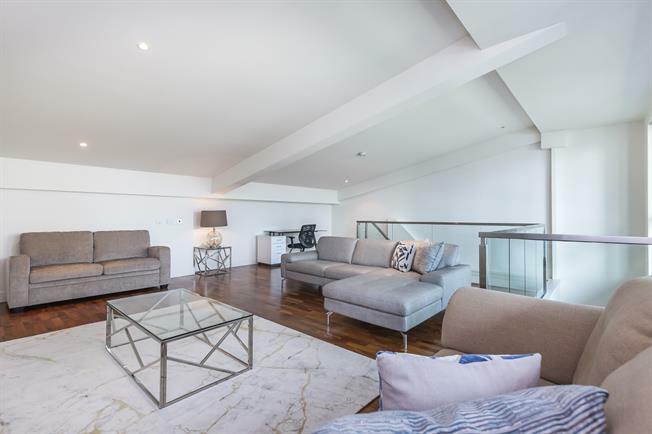 PREMIUM - WATERSIDE - This well presented, modern two bedroom duplex apartment is situated on the 17th & 18th floors of the Discovery Dock development in a superb location just moments from South Quay DLR and within easy reach of Canary Wharf with the many bars, shops and restaurants it has to offer. The property boasts an open plan living/dining room with modern kitchen and wooden flooring, further living room to the 18th floor with to balcony with dock views, master bedroom with built-in wardrobe and en suite shower room, two further bedrooms, separate modern bathroom with shower over bath, second double bedroom and additional storage in the hallway. Discovery Dock boasts concierge and communal gym & swimming pool and the property comes with the option of one underground parking space by negotiation.